Howard W. Mathias passed away at 7:32 p.m. Dec. 3, 2018, in the emergency room at Mercy Health – Tiffin Hospital after a fatal fall at his home. Howard was born Sept. 11, 1948, in Berwick, to the late Louis F. Mathias Sr. and Beulah C. (Lee) Mathias. He is survived by his loving wife of 43 years, Carolyn M. (Yost) Mathias; son Christopher H. (Malissa) Mathias; and grandson, Dylan J. Mathias of Tuttle, Oklahoma. Howard was from a family of 10 children: Louis (Judith) Mathias Jr., Joseph Mathias, Donna Pryor, Barbara (Jim) Roberts, Robert (Lois) Mathias, Carol (Dennis) Scherger and John (Jill) Mathias. Howard was preceded in death by his parents; stepbrother, Richard Hartzell; and a stepsister, Julia Bish. Howard enlisted in the U.S. Marine Corps March 22, 1967, and was honorably retired July 1, 1971. He attained the rank of lance corporal and was crew chief on a CH 46 helicopter during the Vietnam War. During his tour in Vietnam, he received numerous citations and medals for heroic achievement in connection with combat operations against the enemy in the Republic of Vietnam, most notable the Bronze Star Medal with Combat “V” and the Purple Heart. Upon his return from Vietnam, Howard earned an associate degree in welding from Terra Community College in 1977, and upon graduation he began employment as quality control manager for Chemi-Trol Chemical Co. (American Welding & Tank) in Fremont. He eventually became the plant manager. 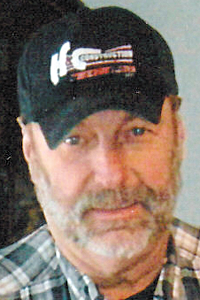 After his employment at American Welding & Tank, he became owner and operator of H&C Construction LLC and continued in that field until semi-retirement. Howard was a man who could fix anything and always was willing and able to lend a hand to anyone if needed. He enjoyed his classic cars, working on his “projects” around the house, and his many trips to Mathias, West Virginia, visiting family and friends. A part of him will always remain there. His greatest joy in life was being a dad to his beloved son, Christopher, and grandpa to his one and only special grandson, Dylan, whom he loved and enjoyed until the end. He will be sadly missed by his family and friends. Funeral services for Howard will be at 10 a.m. Saturday, Dec. 8, 2018, at Engle-Shook Funeral Home & Crematory in Tiffin, with the Rev. Joseph Szybka officiating. Visitation for family and friends will be 3-7 p.m. Friday at the funeral home. Burial will follow services Saturday at St. Joseph Cemetery, with full military honors being rendered. Memorial contributions may be made to the United Veteran’s Council. Online condolences may be left for the family at www.engleshookfuneralhome.com.